We invite you to stop by, see our beautiful facility, and take advantage of the classes, concerts and special events happening at PMA Center. It hums with the creative energy of spacious studios offering dance, theatre, music and visual arts programs and performances in the well-equipped theatre space. Located in SE Portland, it is readily accessible to people from all over the tri-county area and SW Washington, because of the easy access to light-rail, bus, and freeway. TriMet No. 15 bus (West-bound on Stark St.) literally stops at our front corner, at 90th & Stark. The East-bound bus stops only one block away, on 90th & Washington St.
Portland Metro Arts is a nonprofit arts organization dedicated to helping the community with creative expression, performance and outreach. We have been active in the community for over 50 years and going strong. Consider us for event rental needs. PMA has a 130 seat Theatre, two large, sprung-floored studios, two music practice rooms and meeting space available. The well-lit spaces are open and inviting. Our facility at 9003 SE Stark Street is a great location which allows you to better accommodate your students, families and event attendees. It hums with the creative energy offering dance, theatre, music and visual arts programs and performances. Easy access to light-rail, bus, and freeway make our facility readily accessible to people from all over the tri-county area and SW Washington with off-street parking available in our private lot. PMA is a premier choice for rehearsals, classes, meetings and performances. We invite you to stop by and see our beautiful facility. Special rates are given to other nonprofits and school groups. 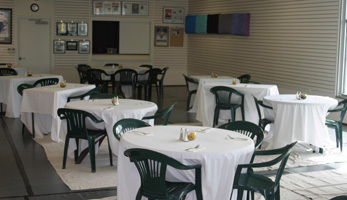 PMA is a premier choice for rehearsals, classes and hosting your next business meeting or social gathering. 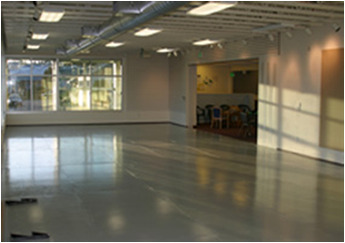 There are two large studios, two small practice rooms and a meeting space available. The well-lit spaces are an open and inviting environment for your special event. We provide a full range of services including catering, facilities set-up, security, event coordination, and on-site parking. Our commitment to customer satisfaction is the cornerstone of our success. The next time you are in need of a location for a corporate meeting, reception, educational meeting, or social gathering, look no further. 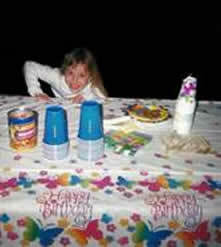 Plan a hassle-free birthday party to remember. Whether you have a budding ballerina, a super hero or someone going “over the hill”, we will work with you to create a special memory. We offer a Children’s Birthday Package with a themed dance, theatre, music or art activity presented by our staff which allows everyone to take home something a little extra. Take all the pressure off and have us cater your party with pizza, soft drinks and cake. Give us a call and tell us what you want and we can set up your area as the perfect get away for any Princess, Pirate, Mermaid, or Cowboy. Be that Hawaii, Space or Hogwarts. From wedding celebrations and bar/bat mitzvahs to corporate holiday parties, the team at PMA makes planning and executing an event refreshingly easy. All parties require a minimum of two weeks’ notice, but we recommend booking as far in advance as possible. The art organizations listed on this page rent space in our building and are provided here for your reference. Producers of the successful musicals Hot Flashes the Musical, Flashbacks, Mama's Got a Brand New Bag and Charles Brown Mid-life Christmas that have entertained many in our theatre. Catered food and drink is available before the show. See their web site for the next showing. Web site: Stages of Life. Shorinji Kempo is a traditional Martial Art from Japan. "Shorinji Kempo" is the Japanese for "Shaolin Temple Fist". The focus of ﻿Shorinji Kempo is physical fitness, mental and spiritual enrichment, character building and community improvement.